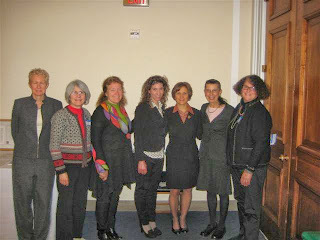 The Office of Congresswoman Eddie Bernice Johnson and The National Nursing Network Organization (NNNO) hosted a Congressional Briefing on H.R. 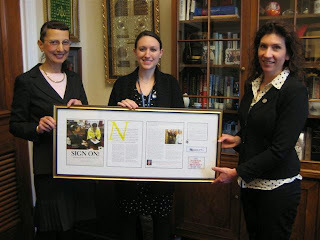 485 The National Nurse Act of 2013 on February 27th, 2014. NNNO President Teri Mills MS, RN, CNE and NNNO Director Elizabeth (Liz) McPhee RN were the featured presenters. Using facts and evidence from the Centers for Disease Control and Prevention, the American Diabetes Association, the Milken Institute, and the National Institute of Health, Liz provided rationale for why increased efforts for health promotion and disease prevention via a visible and recognized Chief Nurse Officer/National Nurse for Public Health is needed. 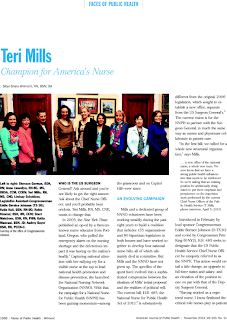 Before explaining the tenets of the National Nurse Act of 2013, Teri verified that nurse leaders are calling for nurses to have more influence in promoting wellness and preventive care. Information was then provided on how this bill is aligned with the mission of the Office of the Surgeon General, the National Prevention Strategy, and the USPHS Nursing Strategic Plan. The briefing provided an opportunity to share important facts about the bill based on the bill language rather than rumors and misinformation. Over 86 organizations, representing hundreds of thousands of nurses and key stakeholders have now endorsed The National Nurse Act of 2013. Additionally, it is noteworthy that five state legislative bodies (OR, MA, NJ, NY, and VT) have passed resolutions urging Congress to enact this legislation. Thank you to those who took time out of their busy schedules to attend the briefing, including Congressional Staff, members of the Nursing Community, representatives from the American Federation of Teachers and National Black Nurses Association, and supporters. The NNNO would especially like to express appreciation to the staff of Congresswoman Johnson and Congressman Peter King for their assistance in assuring the success of this event. Thank you to Sibyl Shalo Wilmont, an emergency department nurse, independent health care journalist, and an MS, Community/Public Health Nursing-MPH candidate, Hunter-Bellevue School of Nursing and the City University of New York School of Public Health, New York, NY for writing a story about the National Nurse Act of 2013 that was published in the November 2013 issue of the American Journal of Public Health. This article was recently re-printed by Medscape. This four-page story highlights the enthusiasm behind the campaign for a National Nurse for Public Health despite the many important differences from the original 2006 legislation. Two recent findings affirm that it is even more compelling to pass this legislation as soon as possible. The first comes from the ADA website (released in 2013) reporting that in 2012, the most recent year that statistics were collected, 25.8 million Americans who were diagnosed with diabetes now cost $245 billion for the care they received. This means that each of these individuals requires $9,500 in care each year. An additional 79 million Americans are at risk for developing diabetes and if health promotion programs under the guidance of a National Nurse for Public Health could prevent just 1% of those from developing this disease, this could save our country $7.5 billion. Another research study, led by Harvard Medical School, Brigham and Women's Hospital and other institutions funded by the National Institutes of Health, found the percentage of American children and adolescents ages 8 to 17 who have high blood pressure-- a risk factor for cardiovascular disease, organ damage, heart attacks, and strokes climbed 27 percent over 13 years. Now more than ever, nurses must continue to be proactive in their communities to curb preventable diseases. H.R. 485 helps to keep nursing in the forefront by asking the National Nurse for Public Health to be a visible presence and work to engage nurses and other health professionals to replicate successful health promotion programs in their local communities. As we begin an unprecedented federal plan to shift the nation from its present sick-care system to one based on prevention and wellness, it is critical that our country has strong, visible national nursing leadership. That is why I write today in strong support of HR 485, The National Nurse Act of 2013. Elevating the Chief Nurse Officer of the USPHS to full time and designating this position to be known as the National Nurse for Public Health will bring more recognition to the critical and important role nursing fulfills in promoting, protecting, and advancing the nation's health. Chronic conditions, including heart disease, type 2 diabetes, obesity, and others pose the single greatest threat to the health of Americans and our nation's economy. Nurses have proven time and again that they are effective messengers, advocates, and mentors for healthy living and, according to a recent survey released by the International Council of Nurses, they have a strong desire to use their skills to enable individuals and communities to enhance their wellness. The National Nurse for Public Health will be a strong advocate for nursing involvement in health policy and will provide leadership in generating a stronger and much needed community wide focus on prevention. This position will generate pride, stimulate interest, and sanction volunteerism without requiring new allocations, creating new positions or duplicating existing services. I commend the efforts and dedication of the National Nursing Network Organization in bringing the National Nurse Act of 2013 to fruition and welcome the opportunity to support in this endeavor.